The residents in Clawson are being encouraged by the city council to recycle more. The city council of Clawson is hosting a recycling competition with Hazel Park to motivate the residents to recycle more. This recycling competition is going to last for a span of one month, and the region with the highest recycling rate will win the contest. During the one month in which Clawson and Hazel Park will be competing with each other, the residents will make an assessment of their recycling rates continuously. The residents will have to recycle plastic containers, paper, glass jars or bottles, and even different types of metal. At the end of the month, the city with the highest recycling rate will win a trophy, and the winning city will also compete with other cities within the state. According to the Mayor of Clawson, Penny Luebs, this competition is an excellent medium through which the city council can promote recycling among the residents. 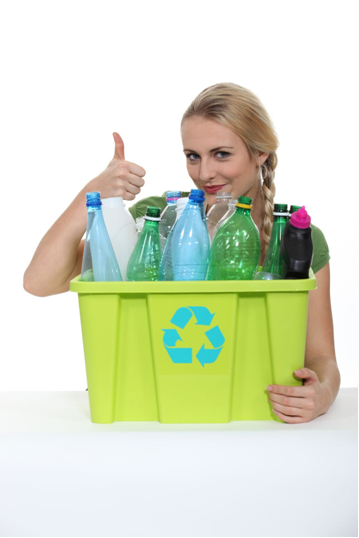 She feels that a competition always motivates people more than regular campaigns, and she is hoping that once the competition is over, the residents will continue to recycle all their waste effectively. To motivate the residents, Mayor Luebs has even conveyed a message on the official website of the city council of Clawson. Clawson residents recycle close to 16 percent of waste at present, and Luebs feels that during this competition, these figures will increase by at least 10 percent. Since Hazel Park has won recycling contest against other cities in the past, the city council of Clawson is introducing a lot of programs to assure that the residents recycle as much as possible. All the residents who have extra waste at their homes will be provided with additional bins during the competition. In addition to this, the residents who are confused about the recycling system within the city will be guided by the city officials, once they have registered their queries on the city council’s website. According to the officials from the city council, the residents need to be pushed to use eco friendly promotional items such as custom grocery bag in their daily routine, and this competition is the perfect medium for it. The officials feel that the residents in the region are very competitive, and this competition is definitely going to have an impact on the city’s overall recycling rates.